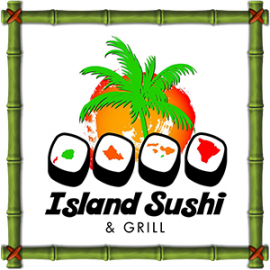 Island Sushi and Grill in Las Vegas, NV brings Hawaii to the mainland serving traditional sushi with a Hawaiian flare and Hawaiian grilled entrees like our garlic chicken plate. Our unique restaurant combines two concepts in one location, and brings aloha spirit to your table. In Hawaii, the ocean is an integral part of the culture, and Hawaiians know fresh fish. We strive to bring the island to you with our high quality sushi and grill plates. Join us for daily specials, homemade malassadas, and learn about our Aloha Loyalty program. Don't forget about take-out options to bring Hawaii to your home. Having a big event? We also cater, or you can reserve our sushi bar service for private offsite events! Providing aloha spirit and service to you in a casual homey environment is our goal. 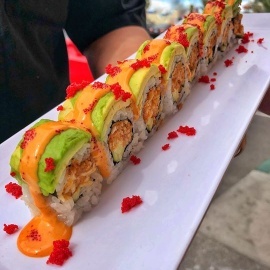 The owners at Island Sushi and Grill want to give back to the people of Hawaii, and bring the island culture to Vegas. At Island Sushi and Grill, the Hawaiian paradise isn't far away.